The Past, as they say, is Another Country. 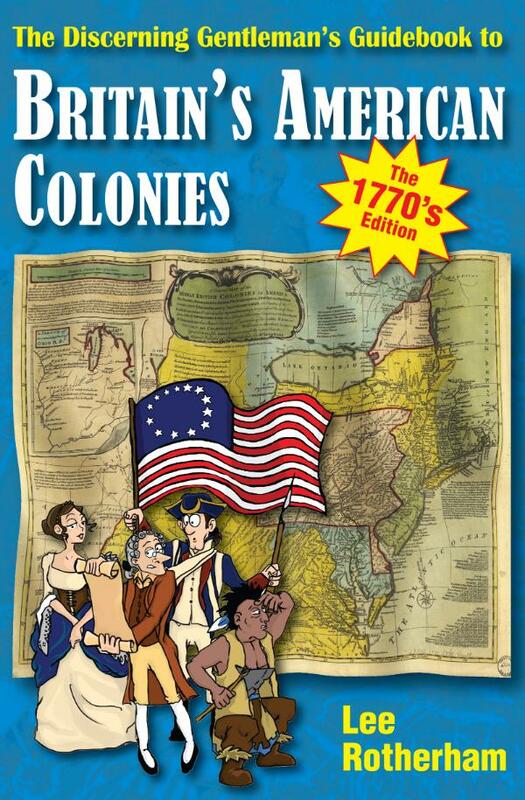 Now there is a guide book to North America as it was during Revolutionary Times. Written by Dr Lee Rotherham this book tells the modern reader everything they would need to know when visiting North America 250 years ago. Written as if it were a guide book to be used by a visiting European, and illustrated, this book is the essential guidebook to Revolutionary America. So this handbook is part survival guide, part tome to assist in cultural acclimatisation, part aide-memoire to help manage expectations in what remains a frontier land. The book contains added War of 1812 bicentenary flavouring and is being launched to commemorate the 200th anniversary of the writing of “The Star Spangled Banner”. Dr Lee Rotherham is an historian with two postgraduate degrees on Québec. His survival skills were honed by idly wandering around Montréal during its worst winter on record. An army reservist, it’s thus appropriate that from his dealings with the Canadian Armed Forces he is a Member of the Order of Good Cheer/L’Ordre du Bon Temps. This is a Nova Scotia fraternity, originally set up by Samuel de Champlain, which commemorates the terrible winters of the first colonists and the social environment that got them through it. With beer, his accent betrays an alarming French Canadian twang.